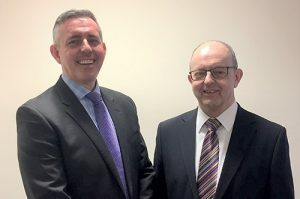 Consumer Credit Solutions has purchased a controlling share in finance technology specialists Castlefields (Abbeystoke). CCS is the UK’s leading facilitator of point-of-sale finance to the home improvement industry and has enjoyed a close working relationship with Castlefields for over 15 years. In that time CCS has been instrumental in assisting Castlefields to enhance both the functionality and the regulatory compliance of its software. Castlefields’ software is utilised by both lenders and home improvement retailers across the UK, and they are the foremost provider of consumer credit point-of-sale solutions to the sector. The acquisition will allow CCS to further improve its service offering and to work more directly with Castlefields to drive cutting-edge solutions that deliver reliable financial data within seconds – via laptops, tablets or mobile phones. The software assists retailers to complete customer applications for finance in a professional and compliant manner, whether they operate from showrooms or sell directly in customers’ homes. Founded in 1999 by Andy Wallace and Peter Nicholson, CCS manages around £1million a day in finance approvals for the home improvement sector, with clients ranging from family-run businesses through to some of the industry’s best known brands. Executive Director Peter Nicholson said: “This acquisition marks the start of a new chapter in our partnership and will allow both parties to further improve and enhance our client proposition. It will also cement our position as a ‘best in class’ service provider to the home improvement sector.” Castlefields was formed in 1994 and initially provided programmed pocket calculators to major lending institutions and household-name retail stores. The company now enables its clients to seamlessly integrate finance technology into their businesses with point-of-sale tools that ensure finance applications are completed swiftly and accurately. Ken Holt, MD of Castlefields, added: “Like ourselves, CCS strive for excellence in customer service. We’ve collaborated for many years and it’s very exciting to be part of the Consumer Credit Solutions group. We can’t wait to develop new applications that will enable clients to improve sales and further compliance excellence.” The business will continue to trade as Castlefields and to provide services to the consumer credit industry.